It was arranged with the help of Red Neighbours - the club's community programme - who teamed up with GRAHAM Construction to deliver an educational site visit for students aged 17-18 years old from Notre Dame Catholic College. The youngsters, who are all considering a career in science, technology and construction, enjoyed a series of short presentations from different members of the LFC retail store construction team. The group learned about the different stages of the build programme and also gained valuable insights into the many diverse roles within construction, including design, architecture, engineering, site management, health and safety, bricklaying and community engagement. Gayle Hall, careers coordinator at Notre Dame Catholic College, said: "This visit has provided our students with a greater understanding of the professional roles within the construction sector. They were able to hear first-hand from various GRAHAM staff about their career journeys." Harry McCullough, a year 12 student from the college, said: "I thought the visit was really beneficial as it has helped me consider both the university and apprenticeship routes into construction. It was really useful getting advice about how to secure relevant work experience in this sector." 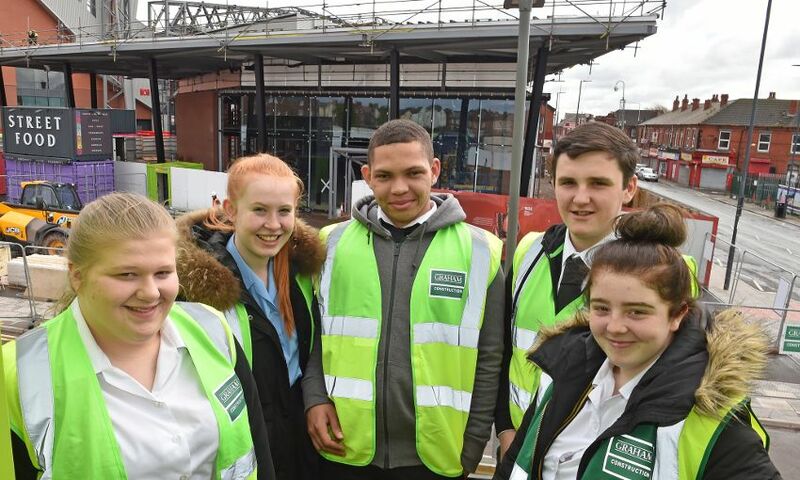 Gary Hughes, GRAHAM Construction regional director, said: "Encouraging young people into the construction industry is a key part of every project we work on. "Site visits such as this are a great opportunity to showcase the wide variety of roles available and to answer any questions the students might have about careers in construction. "The Red Neighbours programme is a very positive step in building community relations and we are very pleased that the students from Notre Dame enjoyed their time on site with us." The Red Neighbours programme supports local residents and schools in the Anfield community, focusing on four key areas: food poverty and education; support for the elderly community; encouraging a physically active community; and creating memorable experiences for young people.